Have been working hard lately so it is quite nice to have some time of. 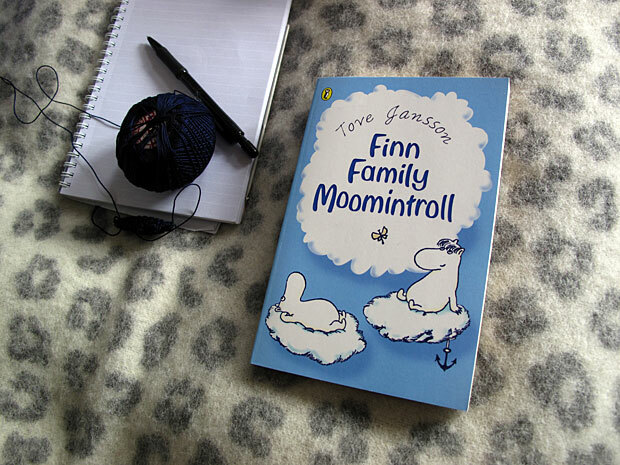 Love reading childhood classics like the Moomins. The boy inside my head would just love to lie in a hammock reading all summer long. But the grown up man says "you can't afford it!" Åh jag är lite kär i din blogg, så himla fin! I'm laughing again! And I'm in the library and that's a no-no. The girl inside my head says, "Who cares?" The grown up mother says, "Behave yourself or you'll be sitting on the naughty mat". PS Glad to see you love Moomin. Why can't we laugh in libraries by the way? Should be the best place for it really with all does sad and funny books. Oh ya the Moomins rocks!